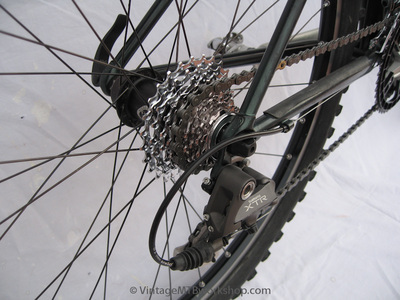 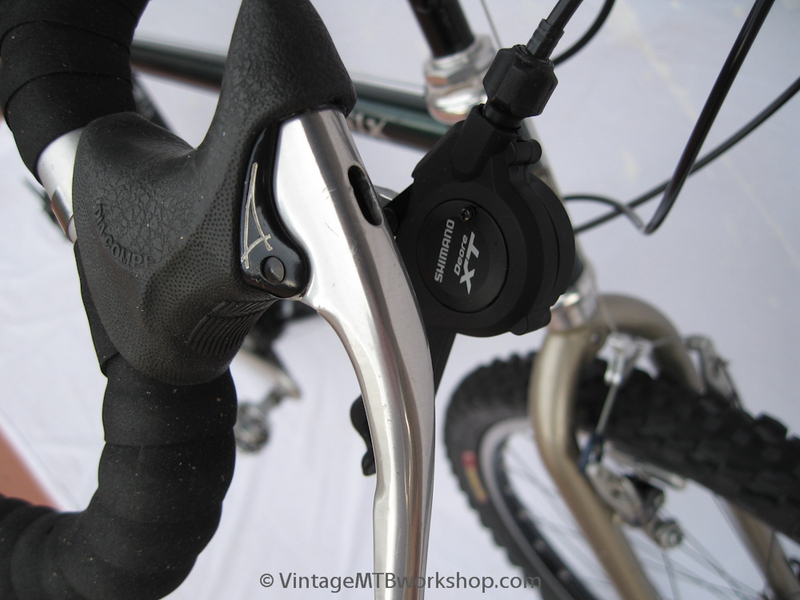 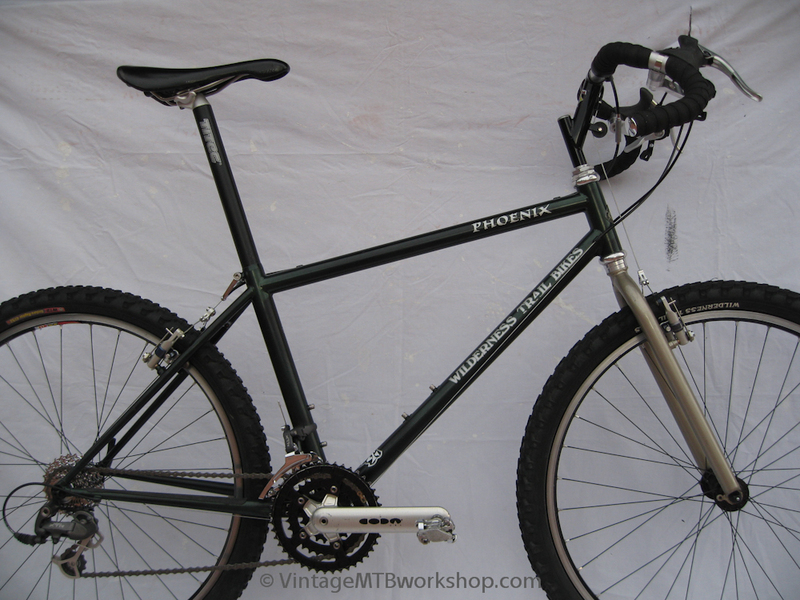 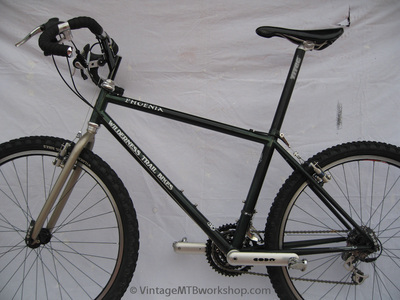 This circa 1996 Wilderness Trail Bikes Phoenix was built as a test-bed for applying modern 9-speed shifters to drop handlebars. 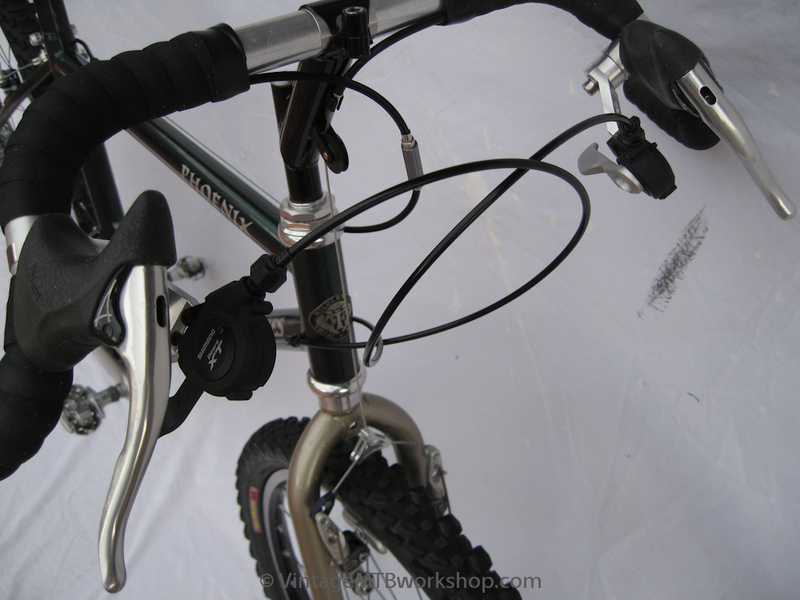 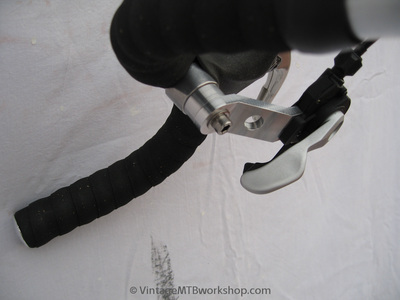 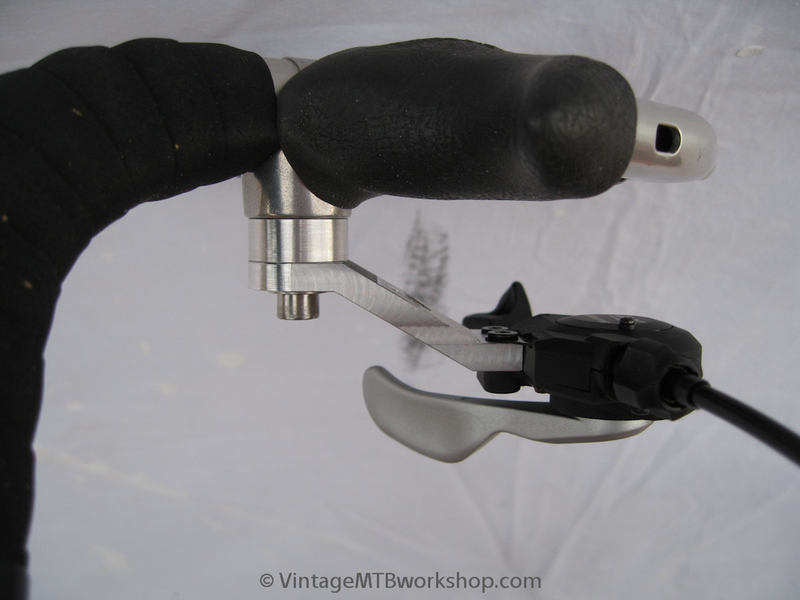 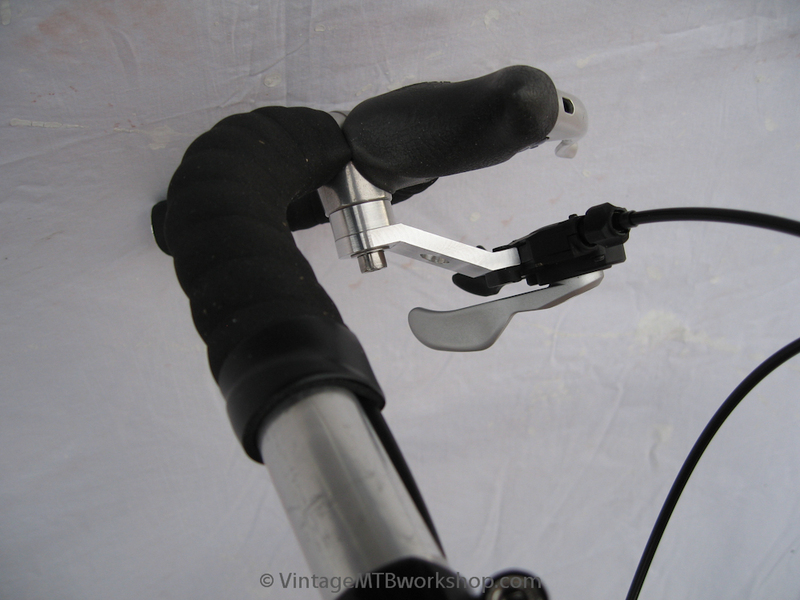 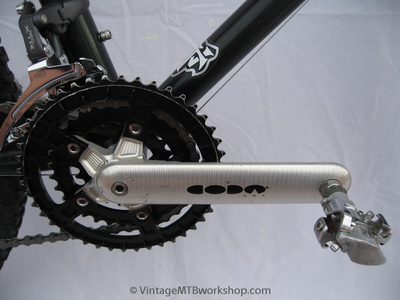 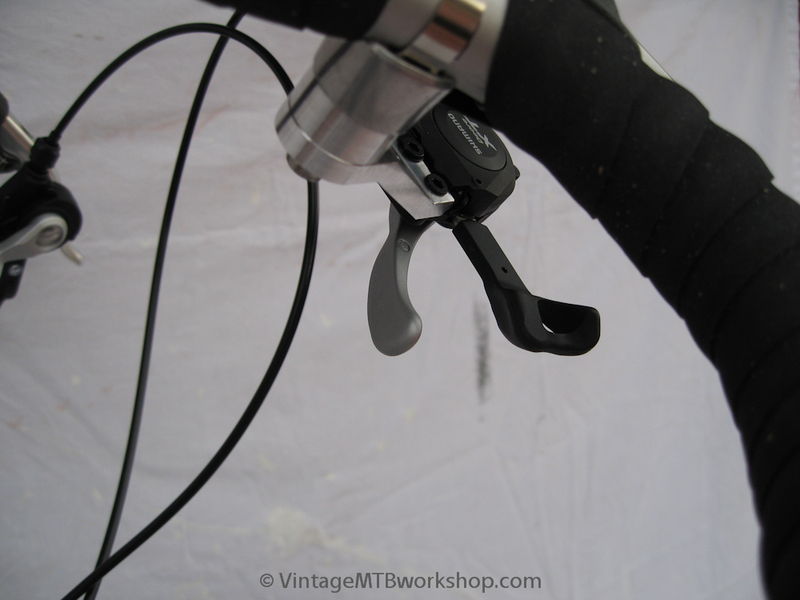 The frame was designed for suspension, so an adapter for the rigid fork was used to correct the geometry. 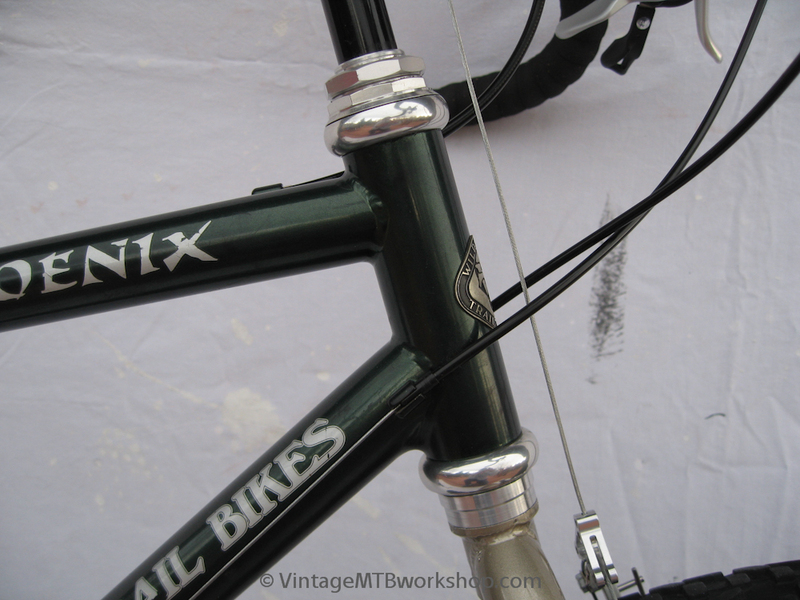 The build features an eclectic mix of parts to test out.